You can go to Badoink to look at pictures of hot girls OR you can go to Badoink and read an interview with me. 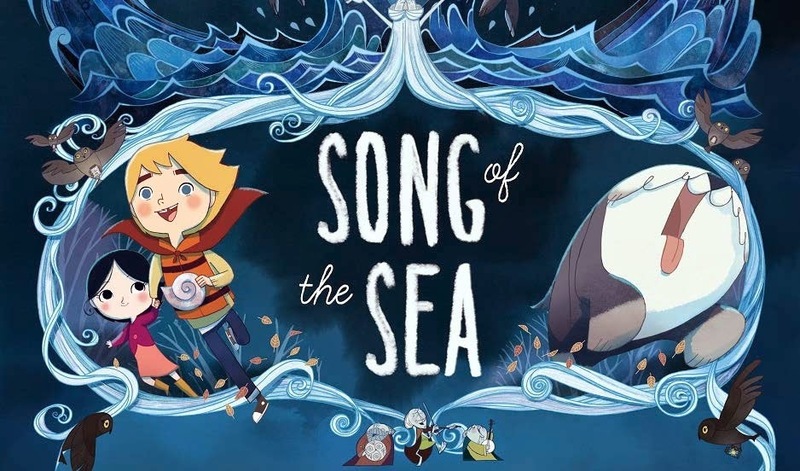 So last night I finally got to see Song of the Sea, the latest animated feature from the clever folks at Cartoon Saloon (Kilkenny, Ireland). I'll admit that I'm pals with the director, Tomm Moore, and that I was asked to give some notes on an early pass of the animatic. So I'm a little biased. But regardless, it's really good. Really, REALLY good. It's touching and sweet and moving. Animators will find a mountain of lovely design and straight forward storytelling and civilians will appreciate the honest tale of a family suffering from grief and loss. This is not to say that the film is inappropriate for young children, the deeper issues are approached with sensitivity. This is all mixed with the supernatural/folkloric elements native to Ireland which gives the whole thing a time and place. It's exactly the kind of small film that we don't see enough of (especially in the US) and if enough folks give it some love then we'll see some more. Not just from Tomm, but from folks all over the world who have small, personal tales to tell through the medium of animation. As I say, I'm biased. I love the film and I love that it's a smaller film. Anything else you need to know about it you'll sure to find on the Facebook page. Please go and see it whenever you can. Terry Gilliam made a film I love called "Time Bandits". He described it as a film that children would enjoy and adults wouldn't be embarrassed to see, which it is, but it's more than that. Which is the best introduction I can think of to encourage you all to seek out Strangebeard by the excellent Canadian, Kelly Tindall. 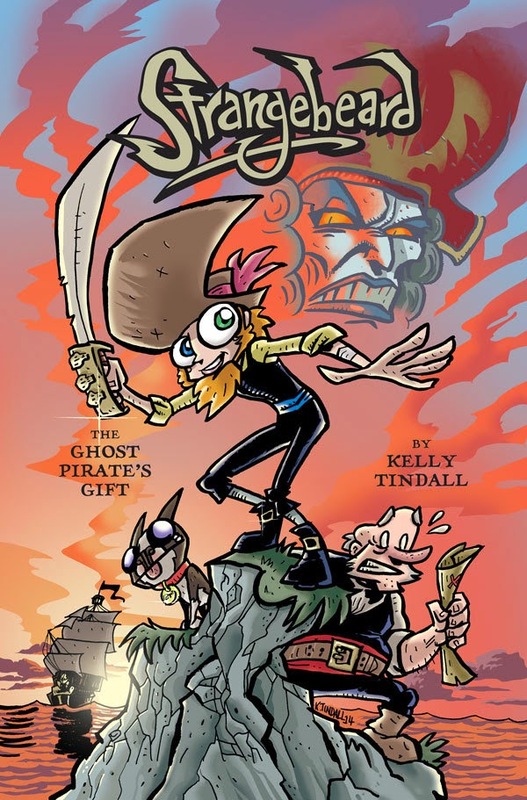 Strangebeard details the adventures of Jenny Brigham who on her 12th birthday discovers that she's the reincarnation of the legendary pirate, Augustus Strangebeard. This supernatural inheritance imbibes her with a number of powers that are more fun to read about in the comic than to have me tell you. She's joined on her adventures by Sluggo Sealock, a kind of Tintinish Captain Haddock, and her Boston Terrier, Lemmy. The villain of the piece of Memoria Morder, one of the Pirate Masters. Kelly has drawn the whole business in a very accessible hand that is appealing to young readers but is sophisticated enough in it's storytelling to engage all ages (like Time Bandits, children will enjoy it and adults won't be embarrassed to read it). My four year old leapt onto it and pored over it for a good 40 minutes but it's intended for older children, really. It is easy to imagine parents reading the book with the kids and in that it serves as a great introduction to the comic form. It's noteworthy that the lead character is a young girl as we don't see enough interesting woman characters in popular books and film. I wouldn't hesitate to recommend it to everyone but I think parents with girls should have it on the bedtime roster as soon as possible. A good chunk of the book is available online but you can buy a paperback copy here and then there's a good chance you could infect your child with the spirit of the book and then maybe one day they'll make their own Strangebeard and the world will be a jollier place because of it.